Jewelry is always popular, no matter what time of year it is or who is buying. You can consider items like gold and silver or various precious gems, but nothing ever stands out the way a diamond does. Just as much as people love to buy a diamond ring, necklace, or earrings, there is just as big of a market if you are looking to sell diamond jewelry that you no longer want, need, or wear. When you come to us at Diamond Jewelry and Loan Pawn Shop, you can buy or sell a diamond at our pawn shop and get a great deal. If you look in your jewelry box, dresser, or bureau, you likely are going to find many pieces of jewelry that you stopped wearing long ago or no longer have a use for. When any of that jewelry has diamonds in it, you could turn those diamonds into instant cash at our pawn shop. You can bring your items to us, and we will provide you with a fair and honest appraisal of your diamonds, letting you know the value and making you an offer if you want to sell. Within minutes, you can walk out with extra cash in your pocket to do whatever you want. While you may not think of it right away, you can get the best deal on a diamond at our pawn shop. We always have a fine selection of diamond jewelry on hand to sell so that you can pick up a ring, bracelet, necklace, or earrings. The great thing about shopping with us is that you can avoid the high markup you see at most jewelry stores, saving you hundreds or even thousands of dollars on your purchase. You will find that a diamond and our pawn shop go very nicely together, whether you want to buy or sell this precious gem. Come to us at Diamond Jewelry and Loan Pawn Shop here in Los Angeles to see all that we have to offer. 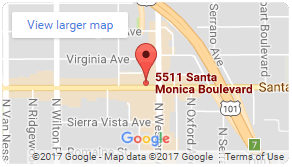 You can learn more about us and get directions to our shop by reading the information on our website, or you can give us a call at 323-400-6480, and we will be glad to assist you and answer your questions.